If you feel that your questions have not been answered after reading through the FAQ, please give us a call and we will be more than happy to answer any questions you may have. Why use Tender Loving Pet Care? With Tender Loving Pet Care your pets not only get the loving care you would give to them, but you also get professional service from someone with years of experience and skills. Carla’s education, knowledge, techniques and understanding of animal behavior provides a level of service for your pets above and beyond their basic needs. How will I know how my pets are doing while I am away? We communicate directly with our clients on how your pets are doing while you are away. Emails, texts and phone calls are the forms of communication we use in addition to leaving a written summary of all visits by request. We certainly are and can provide documentation upon request. Yes. The Contract states permission to enter your home to care for your animals and also that you agree to our policies. We require 24 hour notice of cancellation for regular service. On Holidays, we require 72 hour notice. What results and benefits can I expect for myself and my pet? We know it can be a stressful time and you might be feeling a little guilty for leaving your fur-babies at home while you are away but you can rest assured that your pets are in the best of hands. We will make sure to reduce your pet’s stress by providing compassionate companionship, individualized love and attention, and stimulation with playtime and walks. 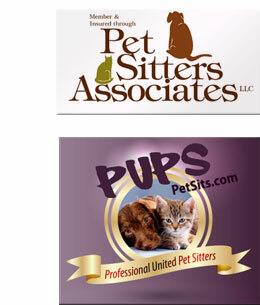 What are Tender Loving Pet Care business hours? Our regular hours are from 8am – 6pm. First, we’ll schedule a meet-and-greet with you, your pets, and your new pet sitter. At that time we will complete a New Client Packet (Contact Information, Business Contract, Veterinary Instructions & Release Form, Pet Information Form, Service Request Form), and get a key for access to your home. This time is used to get acquainted with you and your pet and get familiar with your home and pet’s surroundings. This is also a good time to discuss your pet’s habits or requirements and for you to show us where all of the necessary supplies and food are kept. How do I know my house keys will be safe? We code client’s keys rather than labeling them with personal information. Keys are stored in a secured lockbox. Tender Loving Pet Care is liable only for damage from negligence. Since animals can be unpredictable, especially when left alone, we can’t accept responsibility for uncontrollable mishaps (potty accidents or furniture damage), but do everything in our power to minimize these occurrences. How do I make my house keys available to Tender Loving Pet Care? The easiest, most preferable way to make your keys available to us is at the meet-and-greet visit. 2 sets of keys are always better to have in case of an emergency. If we cannot obtain the keys from you at the meet-and-greet, there will be an additional charge of $10.00 for each key pick-up/drop-off. We accept VISA, MasterCard, American Express, and Discover cards plus cash and checks. When is payment expected to be received? Payment should be received before service or upon completion of services unless other arrangements have been made. Yes, holiday visits are an extra $10.00 charge per visit. For a full list of holidays, please visit our Policies page. We sure do provide references. You can also go to our testimonials page to see the feedback we’ve received from our clients. What type of animals do you care for? What if you don’t have much experience caring for my type of pet? Most of the animals we care for are dogs and cats, but we also can care for a number of different species such as birds, reptiles, amphibians and small hobby farm animals. Although, we have many years of experience with mostly cats and dogs, we are more than happy to care for almost any type of animal you may have and ask that you take the time to train us on the specific requirements and nuances of caring for your pet. Can you give medicine to my pets? We can administer medication and supplements to all pets. This is usually included in our services unless there are multiple medications and supplements that need to be given to multiple pets. There may be a small fee for multiple medications. There is an additional fee for administering injections. Please call us at (541) 316-5852. We will be more than happy to answer any questions you may have.